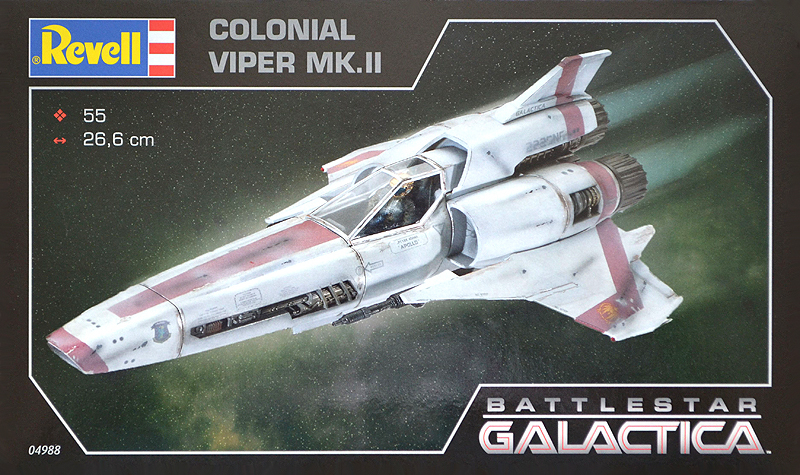 The Viper (Mark I) was first introduced into Colonial service shortly before the outbreak of the first Cylon War. 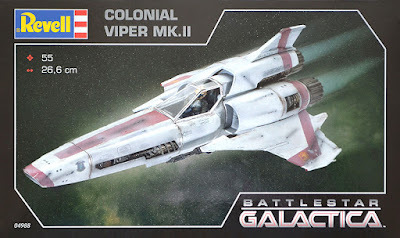 However, it was the Mark II Viper series, designed for use with the then new Colonial Battlestars, that is best remembered and celebrated. The Mark II was used throughout the first Cylon War and proved a capable fighter. Believed b many to be the reason that the Twelve Colonies didn't lose the war with the Cylons. The Mark II remained in service after the end of the war. The Mark II was superseded by newer models, ending with the Mark VII serving in front-line duties and by the end of the war the Colonial Viper had served forty years. 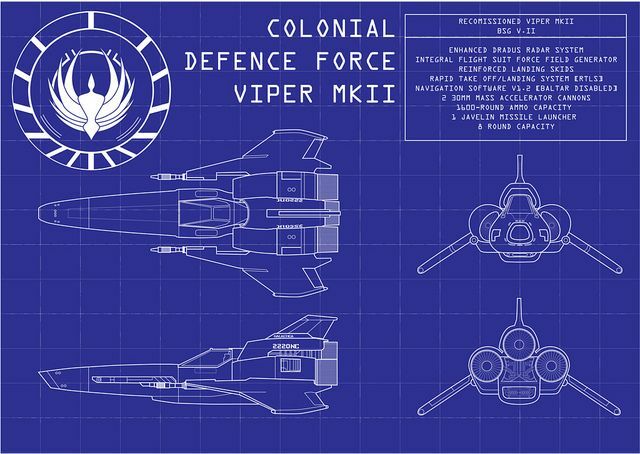 The Viper design was progressively updated and redesigned. It retaining the basic structural configuration which was essential for use with Colonial Battlestars. No information has survived about the intervening designs, but by the time the Mark VII was introduced the design had incorporated software-based controls and fully networked systems. This providing superior agility, battle management, and flight information for the pilot. By the time of the second Cylon war the Mark VII had been upgraded to include navigational software designed and written by Dr. Gaius Baltar. This was the downfall of the mark as the software allowed the Cylons to remotely disable the Vipers during the opening engagements of the second war. The few Mark VIIs that survived the early battles were quickly stripped of the modern systems and software. The older Mark II fighters, not equipped with the more advanced systems, were unaffected by the Cylon modifications to Dr. Baltar's software. The last known two squadrons of Mark IIs were present in the Galactica's starboard flight pod in preparation for the Galactica's new role as a museum ship, and after most of the Mark VII squadron was destroyed by the Cylons, The mark II's were moved and prepared for combat by Galactica's deck crew. The rag-tag Mark II Viper squadrons went on to defend the fleet for the entirety of the second Cylon war. My tribute to this brave little SciFi fighter will be constructed from Revell's reboxing of Mobius' 1:35 kit. I will portray it as 2225NF the mount of Captain Lee 'Apollo' Adama. I will attempt to portray it looking the same as the boxart example, a well worn and battle weary example. And so in to battle and my the Gods look out for us.